This blog is about the GNU/Linux OS and software running on it. Recently I have found out, that the version 4.2.3 of devolo-dlancopit, for which I have posted a gentoo ebuild in the article devolo-dlan-cockpit-4.2.3 with gentoo, does not work fully anymore. It fails downloading firmware updates for the Devolo dlan 1200 PowerLAN adapters. Most probably the download urls for firmware updates have changed recently. Firmware upgrades are more or less plug and play. One has to click the Updates-Button and everything else happens automagically. Monitoring the network performance with devolo-dlan-cockpit is of major interest, since it allows one to try out different wall sockets for better performance with nearly zero efforts. If one gets poor performance it can be of major impact just to use another wall socket in the same room. Dlan-cockpit is available for most common operating systems. However, the only Linux distribution, they support right now is Ubuntu Linux. Most probably, the package will also work with Debian. Allthough these are binary packages, the application can also be used with Gentoo Linux. For this two binaries have to be executed /usr/bin/devolonetsvc, the service daemon and /opt/devolo/dlancockpit/bin/dlancockpit, the frontend application which depends on the service. Usually devolonetsvc is being started by an initrd script, but the one included in the package is not going to work with gentoo, so just start it manually as root user. If one really needs it that often, an own startup script or systemd configuration can be written. Below you can see a screenshot of the application. Then emerge devolo-dlan-cockpit and update your dlan adapters again using your gentoo box. 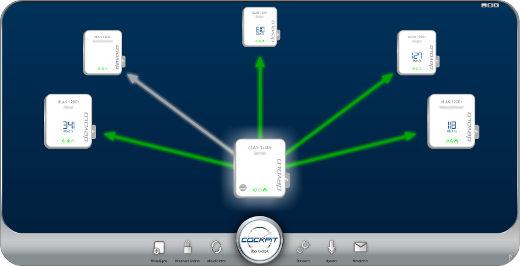 Recently I have started using Devolo dlan 1200 PowerLAN adapters. With these one can get a network with up to 1Gbps without having to install additional wires by using the power lines. Of course the 1Gbps are optimum values under perfect conditions. Practically one gets 100 Mbps to 600 Mbps, but this is enough for most purposes. Firmware upgrades are more or less plug and play. One has to click to click the Updates-Button and everything else happens automagically. 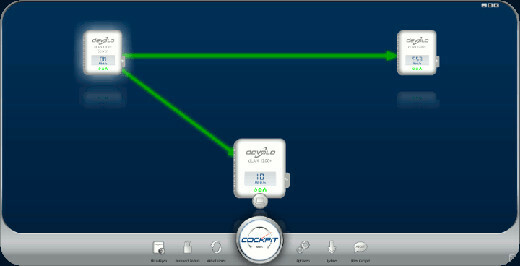 Monitoring the network performance with devolo-dlan-cockpit is of major interest, since it allows one to try out different wall sockets for better performance with nearly zero efforts. If one gets poor performance it can be of major impact just to use another wall socket in the same room. Dlan-cockpit is available for most common operating systems. However, the only Linux distribution, they support right now is Ubuntu Linux. Most probably, the package will also work with Debian. Allthough these are binary packages, the application can also be used with Gentoo Linux. For this two binaries have to be executed /usr/bin/devolonetsvc, the service daemon and /opt/devolo/dlancockpit/bin/dlancockpit, the frontend application which depends on the service. Usually devolonetsvc is being started by an initrd script, but the one included in the package is not going to work with gentoo, so start just start it manually as root user. If one really needs it that often, an own startup script or systemd configuration can be written. Below you can see a screenshot of the application. Then emerge devolo-dlan-cockpit and monitor your network nodes using your gentoo box. About one year ago I wrote about the OpenGL/GLSL debugger glsldevil in the article gentoo ebuild for glsldevil-1.1.5 and provided a gentoo ebuild for it. Unfortunately glsldevil seems not to be available anymore from the web page of the University of Stuttgart (http://cumbia.informatik.uni-stuttgart.de/glsldevil/), which has rendered the ebuild useless. Edit 29/5/2012: The original download site of the University of Stuttgart is available again. Since the license of glsldevil permits redistribution, I decided to upload my local copy, to make glsldevil available for the public again. Unfortunately this only includes the Linux binaries (32bit and 64bit) and neither Windows binaries or the source code. For use with the ebuild, just copy the file to /usr/portage/distfiles/. In the article Looking up phone numbers with the N900 I described a solution to perform reverse phone number lookups from within the N900s extended call log. The patch and thus also the binary package there contained a small bug. 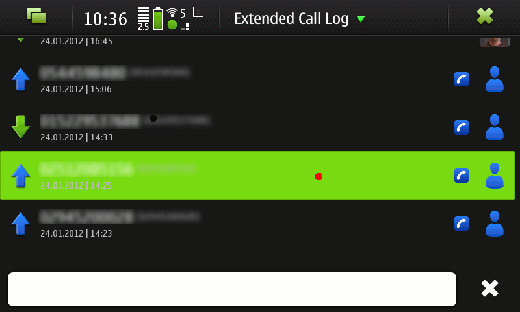 Whenever there were international calls, beginning with “00”, in the log, the reverse lookup failed due to the callerid application not interpreting the “00” correctly. The fixed extcalllog application now translates these trailing zeros to a “+” which gets interpreted correctly by the callerid application. The downloads in the original article have been updated now. Who does not know this situation. One returns to the phone and recognizes a missed call. Then one usually wants to know who the caller is, but the phone only displays an unknown phone number. Usually the next step is to google the number or use a reverse number search to see who called, or at least from where the call came. This article is about improving this situation using Nokia´s smartphone N900 . Basically there are two applications for the N900 phone which can be used to improve the above scenario. These are callerid and extcalllog. 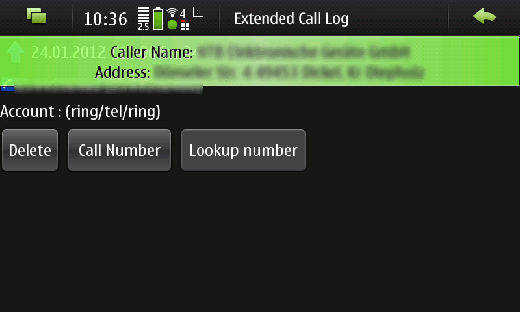 The callerid application displays the details for the phone number of an incoming call. This is done by automatically accessing a reverse number search engine. If the number is not available in the database, which happens quite often due to privacy reasons, it compares the area code with a local database and displays at least the region, the call comes from. 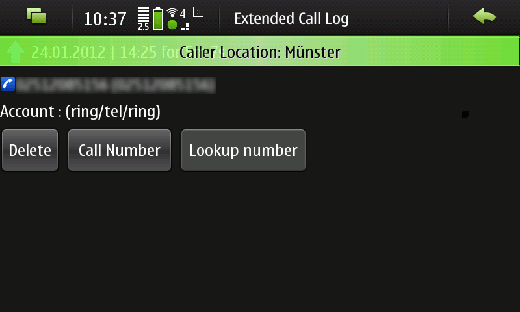 The extcalllog application displays the call history just as the phone application of the N900 does, but it has got two major advantages. First it is not restricted to the last 30 days as the N900s phone application is, second it is open source, thus it can be extended. This makes it possible to combine the functionality of extcalllog and callerid. As a prerequirement it is necessary to install and configure the callerid application for the users region. It is available from the extras-devel repository. Configuration is done by supplying an xml file describing the reverse search. This file has to be placed in /opt/callerid/ and named correctly. For example the xml file for the german reverse number search must have the filename de.xml. The contents of the file, taken from  are being shown below. For displaying the area code in case of a failed reverse lookup a local database file has to be placed in /opt /callerid/. For Germany this file must be named de.txt. It can be created from the official list of area codes, ONB, provided by the Bundesnetzagentur. For convenience you can download the file in proper format for callerid from here: [download#78]. Copy it to your device and as root user extract it to /opt/callerid. Afterwards the device signals incoming calls with a notification containing the callers name and address or at least, if these are not available, the callers city. The next step is to extend the user interface to display the details for an incoming call. Since the default N900 phone application is not open source, the extcallog application is the only application which is extensible for this purpose. It also is available from the extras-devel repository. For the new functionallity an additional button has to be added to the user interface, which calls the callerid application with the phone number for the log entry. For this the extcalllog applications source has to be extended using my patch. You may download the patch from here: [download#79]. For convenience a binary with the patched version can be downloaded from here: [download#80]. Download the binary to the device and install it with, dpkg -i extcalllog_0.6-callerid_armel.deb as root user. Or open the download in the phones browser and install it using the hildon application manager. After installing the modified extcalllog application, it can be used as shown in figures 1 to 4. 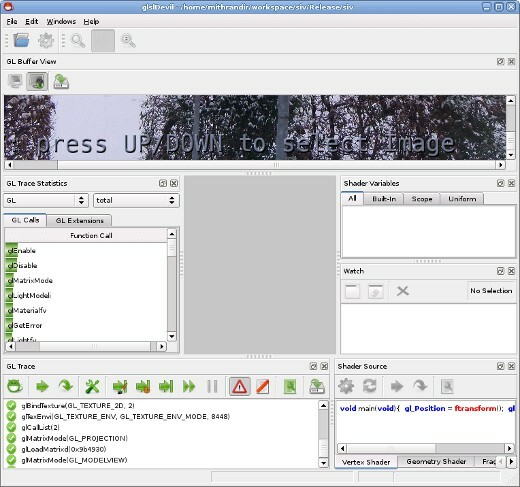 The figures show screenshots of the extcalllog application. 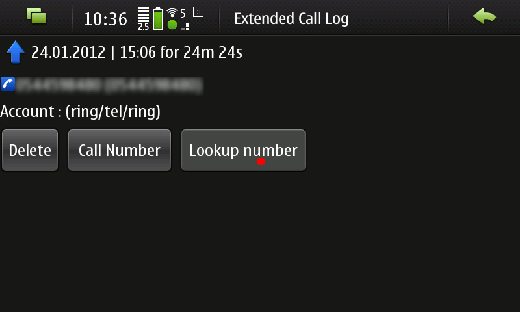 After tapping onto one entry of the call list (marked in red) the details page of the call is being opened. Figure 2 shows this page. If the callers details are not available using the reverse number search, then only a notification displaying the callers town, like in figure 4, is being shown. Now the N900 user is able to find out who the unknown caller is, or at least he can find out in which area he lives. MPO stereo images, that were taken in example using Fujifilm FinePix Real 3D Cameras contain a field parallax in their exif data. The parallax value can be used by stereoscopic viewers like my stereoscopic image viewer SIV to adjust the 3D effect. By manipulating this value one can can customize the strength of the pop out effect and reduce the ghosting effect. This may lead to a more pleasuring viewing experience. For determining the value that matches the visual requirements of your image you may use the parallax adjustment function of SIV (+/- key) and use the value on the OSD and printed out in the console. Perhaps some day I will add the functionality, to directly write the new parallax value to the MPO file, to SIV. However the setparallax script at least gives us the possibility to write the parallax value until then. Some days ago I wanted to get some information on how OpenSceneGraph internally performs the rendering, to prepare for my B.Sc. thesis. Especially I wanted to know if it really uses Vertex Buffer Objects when I “force” Graphics Nodes to do so. Code analysis would have taken to long and would not have been proof enough for me. Thus I needed an OpenGL debugger. A nice one I found is glsldevil, which was developed at the university of Stuttgart. It can not only debug pure OpenGL, but also GLSL shaders. Flipboard magazine mygnu - linux.